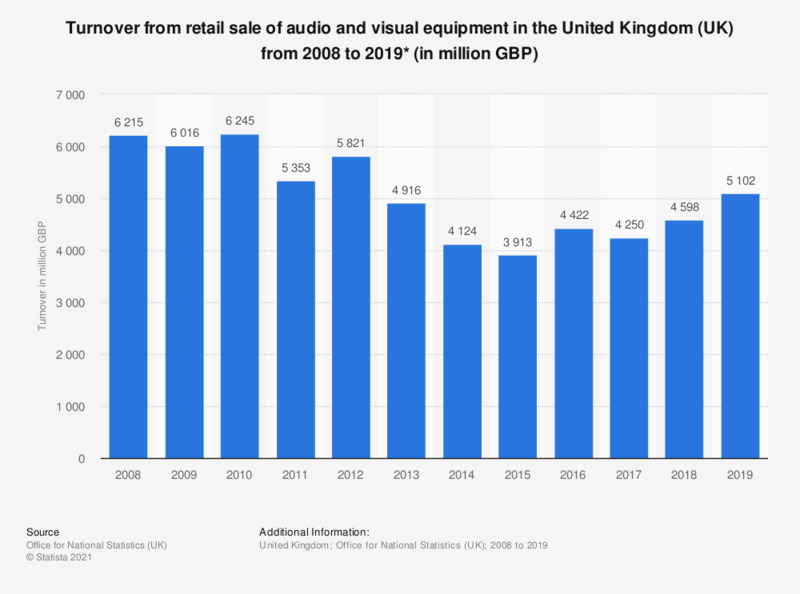 This statistic shows the total annual turnover of the retail sale of audio and visual equipment (including radios, televisions and video recorders) in the United Kingdom from 2008 to 2016. After peaking in 2010, sales turnover fell by approximately 892 million British pounds in 2011. Turnover declined again in 2013, with retail sales of audio and visual equipment generating revenues of approximately 4.9 billion British pounds. By 2016, turnover reached 4.4 billion British pounds for the year. * Includes radios, televisions and video recorders.